New Zealand’s shock loss at home to the Springboks this morning is set to shake-up the World Rugby Rankings when they are updated and released on Monday. Steve Hansen’s men were beaten 34-36 in their own backyard this morning by a resilient Springbok side who came into the game after back-to-back losses to Argentina and Australia. 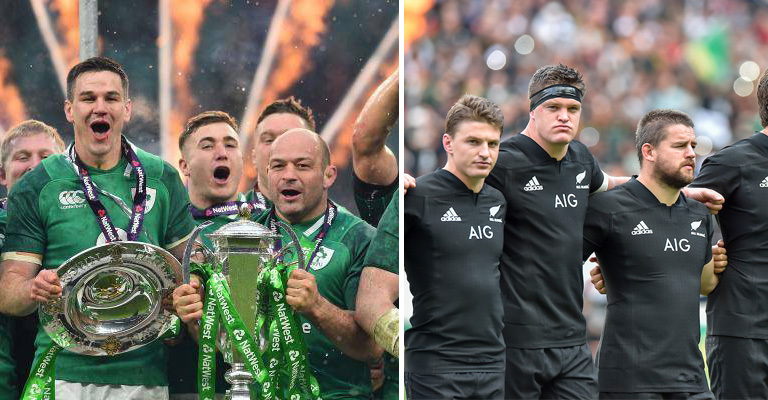 The loss means the All Blacks are set to lose a massive two points on Monday, meaning Ireland are breathing right down their necks – literally. Joe Schmidt’s men will be just 2.4 points behind the World Champions, with the pair set to clash in November. South Africa’s win will catapult them up two place into fifth, with Australia set to drop the same amount of places down to seventh following their loss to Argentina. New Zealand have two away games to come in the Rugby Championship against Argentina and South Africa, meaning there’s a possibility Ireland could be the number one team in the world come November if Steve Hansen’s men slip up again. Either way – things will be very interesting when these two meet in Dublin. There’s a chance the number one spot could be on the line depending on results for both sides.